I created a custom class for a process that does some basic manipulation to an HL7 message. I'd like to be able to write some debugging to the process event log. How would I do that? but I get a runtime error when I try that. I know this is pretty basic stuff, but any help would be appreciated. I'm trying to get a text value of a xml node of a XML Document through the xpath activity within a BPL diagram. I set the source to Request and all the other properties. I have a query regarding general behaviour of a business process in Ensemble. I have a BPL which has a call block out to an operation (Adapter class EnsLib.SOAP.OutboundAdapter). The call to this operation is synchronous (i.e. the Asynchronous box is not ticked), with a long time out value. and the pool size of the process is set to 1 in the management portal. 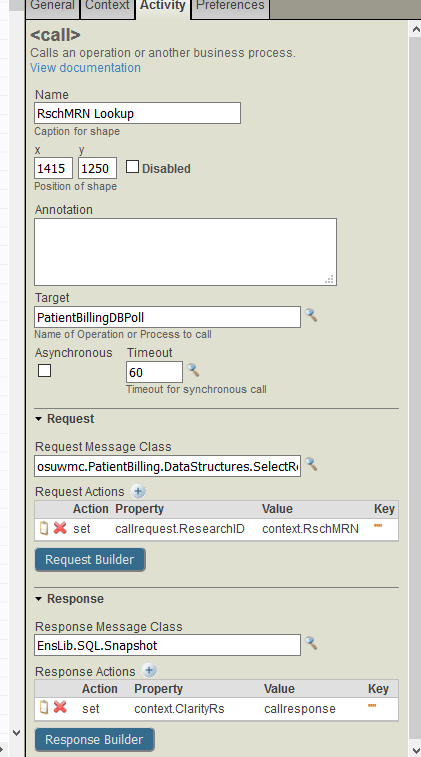 Can a BPL context variable reference the request object for the 'default value'? I am new to the bpl diagram. I would like to add an if statement that checks whatever an object is null or not. I tried to search for this information in the documentation but I didn't find any help. What are the possible causes of the following warning in an Ensemble business process? "1 open user transaction found; committing before Enqueue"
Is there a way to graphically edit BPL processes, or do we still need to use Studio for doing that? Looking at the documentation, it appear there should be an Atelier BPL editor option available under Open With, but all I have is Atelier Class, HTML, INT, and MAC editors. There is a BPL editor in the list, but it throws a "Bad editor input" error when trying to open the class file. I'm running version 1.0.263 that was installed from the WRC distribution of 1.0.262 and then updated. The only other plugins installed are the Eclipse XML Editors. 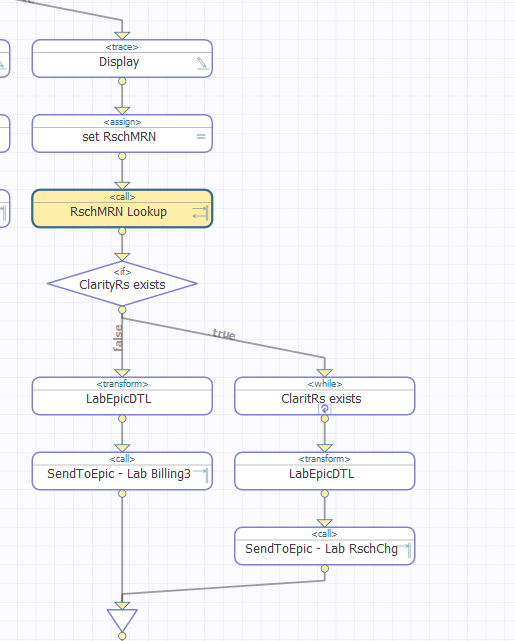 I need to access the value of a setting I created (ex: name_BO) within the logic of my BP. But the class is common and the production item names will change.